Baigas, I have heard, are no less than ecologists. People of this tribal community possess the legendary ability to recognise hundreds of species around them and know their usage in myriad ways. Knowing their traditionally rich yet minimalistic ways of life is on the top of my mind as I proceed towards Dhaba village in Madhya Pradesh’s Dindori district. Dhaba is among the 52 villages across Dindori whose hills and forests have been home to the primitive tribe for millennia. As I climb the steep slopes of Dhaba, I meet a resident, Rangulal. His face lights up when I mention sikiya, a millet called Digitaria sanguinalis in scientific lexicon, grown and relished by Baigas. “It has been a long time since I have eaten sikiya. It is no longer found in my village,” he says. In fact, after a brief inquiry about the millet in Dhaba, I realised that the younger generations have not even heard of sikiya, let alone taste it. And a prime reason for this is the changing agricultural practices of Baigas. Traditionally, this primitive tribal community practise bewar, a shifting, slash-and-burn method of farming in which the land is left fallow after three years of growing crops. “Though often derided by forest officials and agriculture scientists, bewar respects the forest ecosystem,” says Naresh Biswas, secretary of Nirman, a non-profit in Madhya Pradesh. He adds that Baigas usually burn the invasive lantana bushes to prepare the field. As the rains approach, they simply scatter the seeds of a variety of food crops without tilling the land. This high crop diversity, at times comprising over 20 varieties, has traditionally taken care of their nutritional needs. However, Jiribai of neighbouring Pauri village says sikiya is rarely sown. “Seeds that drop to the ground during harvest add to the natural growth,” Jiribai says. Discussions with researchers show that sikiya is a perennial wild grass species and easily re-grows from the rootstock as soon as the weather is favourable. According to the Food and Agriculture Organization Director, Plant Production and Protection Division, Hans Dreyer, “There are several species of millets. Crabgrasses belong to the digitaria genus and there are 60 species, with some being the first cultivated nutritious grains, and others still grown today, for example, Fonio millet or Digitaria exilis in Africa, for use as staple grains as well as in porridge and bread. However, many other species of digitaria are now considered weeds with some classified as invasive plants." ”Though sikiya is yet to be thoroughly studied, Biswas says the crop diversity on bewar plots is crucial for its growth. The millet is disappearing from the food plate of Baigas as more and more families are abandoning multi-cropping and growing arhar (pigeon pea). “We have shifted to arhar as it fetches us cash,” says Ramlal Rathuria, sarpanch, Bouna village. Elsewhere considered a weed, Baigas have for centuries nurtured sikiya as food, which they use to prepare kheer (porridge). In appearance, its grains—light yellow in colour—are smaller than those of little millets. “It is more filling than rice. Just 250 gm is enough to carry me through the day,” says Hariram of Silpidi village, where the Baiga community still harvests and consumes sikiya. Gawalinbai, another Silpidi resident, says it is easy to cook. 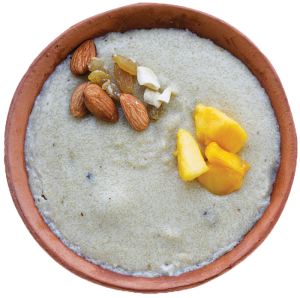 “One has to just boil the milk and add the required quantity of sikiya for a delicious kheer. It strengthens the immune system,” she adds. “I have been eating sikiya every morning. It tastes better than other millets. We get around 300 kg of sikiya in a plot of 2-3 hectares,” says sexagenarian Ghunthu of Dumar Tola village. Despite its glorious tradition, sikiya is not known to people outside the Baiga community. It does not even feature in the list of millets being promoted by the Centre as “nutri cereals”. Based on his interaction with Baiga farmers who were showcasing the rare millet at the Using Diversity Seed Festival, organised early this year in Bhopal, Krishna Prasad of Bengaluru-based non-profit Sahaja Samrudha, says, “One of the reasons sikiya has failed to command mass appeal is that processing the millet is arduous. Traditionally, Baiga women use musar, a heavy wooden stick, to remove its hard outer covering. Its small size makes the separation of the grain from stones difficult.” He adds that efforts need to be made to design suitable processing machines. Interestingly, sikiya is also called the Polish millet as farmers in Poland grow and eat the millet, and use it as fodder. It is also grown in Germany. While the government remains ignorant about sikiya, Biswas and several others are trying to popularise it. Biswas has sent grain samples to the Indian Institute of Millets Research (IIMR), Hyderabad, for nutritional analysis. “Sikiya is a crabgrass finger millet. It has always been part of tribal culture. All we know about it is that the millet has 12 per cent of protein. Analysis of vitamins, calcium, iron and amino acids is still going on,” says Vilas Tonapi, director, IIMR. To assess if sikiya can thrive outside Baigas’ homeland, Soumik Banerjee, a native seed conservationist from Jharkhand’s Godda district, and researchers at the Jawaharlal Nehru Krishi Vishwavidyalaya (JNKV), Jabalpur, are growing it on an experimental basis. “Last year, we sowed sikiya in September and harvested it in February,” says Ajay Singh Gontia, who heads the plant physiology department at JNKV. His department plans to grow the millet again this year. But will such efforts ensure the return of sikiya to the Baigas’ food plate? However, Dwijendra Guru, a sustainable food system activist based in Bangalore, cautions about mainstreaming sikiya. 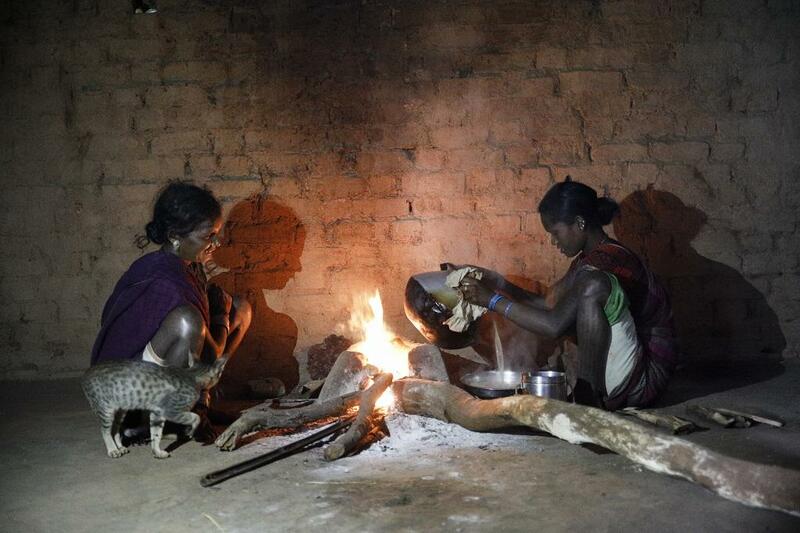 According to him, more than popularising sikiya and making it available elsewhere in India, it is more important to ensure that the Baiga tribals continue to get access to it and those who used to eat it once should get back to eating this millet once again. “We should discourage moving out these specialist crops out of their areas where they have been growing for centuries,” he says. Pour the milk in a pan and bring it to a boil. Add 5-6 teaspoons of mango pulp to it. Keep stirring to ensure that the pulp dissolves in the milk and does not form lumps. Add cardamom, cinnamon and sikiya to it. Stir well for five to seven minutes. Transfer the contents into a bowl. Garnish with dry fruits and mango pieces. It can be enjoyed both hot and cold. For those who want to use jaggery, instead of sugar, need not use the mango pulp. Besides, add the jaggery only after the porridge is ready and removed from the stove. 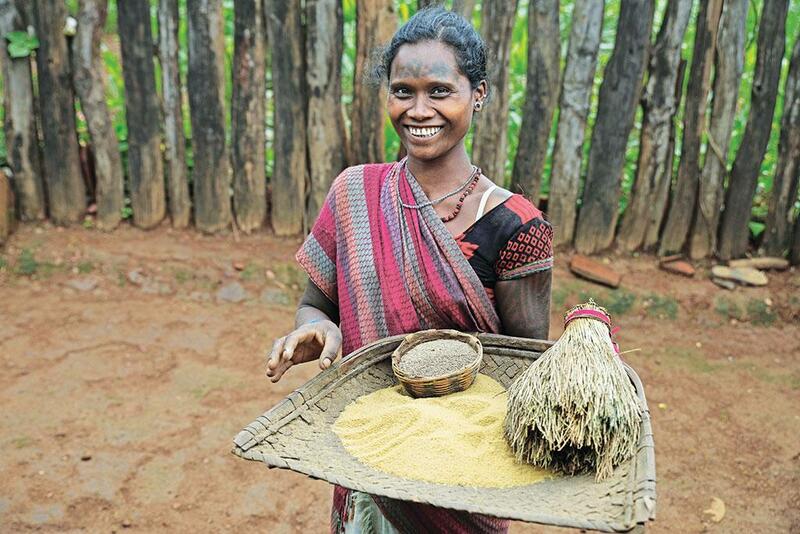 Is the government marketing millets right?